Consciously situated in the anxiety of the contemporary moment, Chowdhury hopes to help us “find beauty in darkness and see the darkness that frames all beauty." Srijon Chowdhury (b. 1987 in Bangladesh) received his MFA from Otis College of Art and Design (2013). 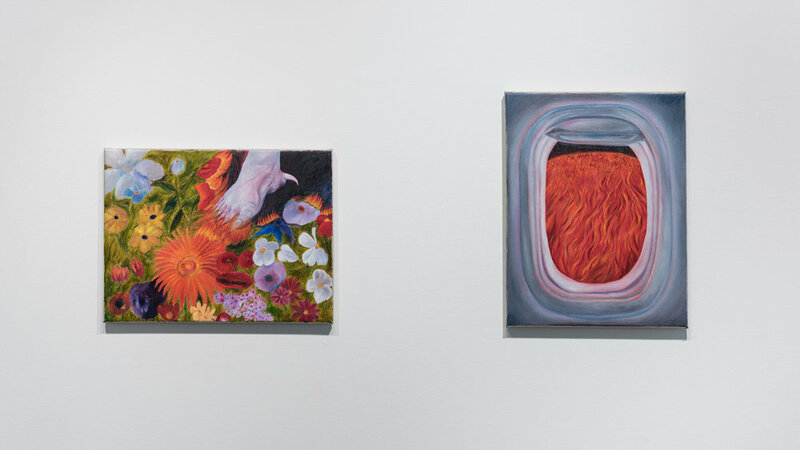 Intended to act in the space between knowledge and emotion, his dream-like oil paintings consider the present moment as part of a larger, intuited (perhaps mythic) history. Chowdhury frequently uses repetition to examine the changes and removal that occur with each re-telling of history, a concept rooted in the experience of overlap and disjunction. He has exhibited in Los Angeles at Klowden Mann, The Torrance Art Museum, Jaus, Launch Gallery and Helen Bolsky Gallery; at Vox Populi in Philadelphia, in Chicago at Sector 2337, in Miami at Fredric Snitzer Gallery, and at The Gallery in Dhaka, Bangladesh. Chowdhury divides his time between Los Angeles, CA and Portland, OR, where he runs an alternative exhibition space, Chicken Coop Contemporary. Chowdhury is part of Endings, a two-artist exhibition curated by Blake Shell on view at The Art Gym at Marylhurst University through March 4, 2018. He recently received a 2018 Individual Artist Fellowship from the Oregon Arts Commission.